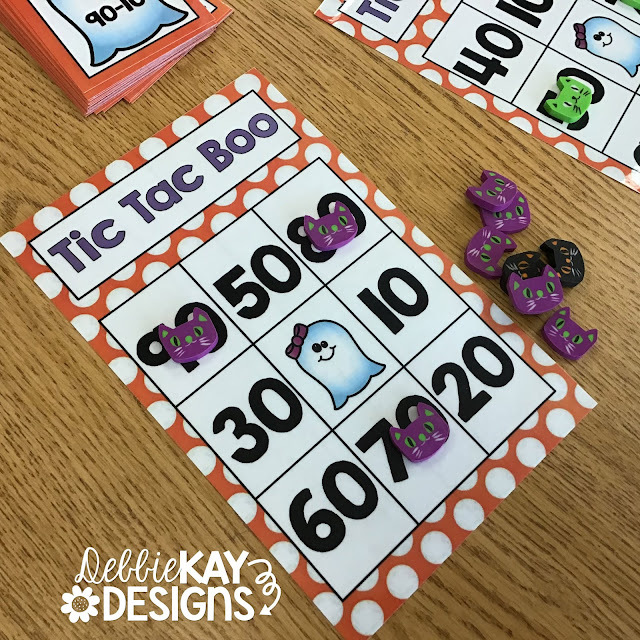 debbie kay designs: We love Tic Tac Boo! 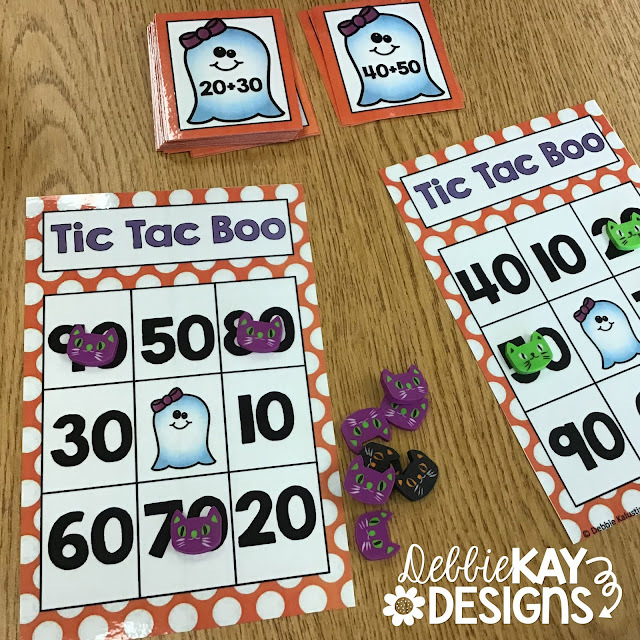 Tic Tac Boo has been a big hit during math stations this week. 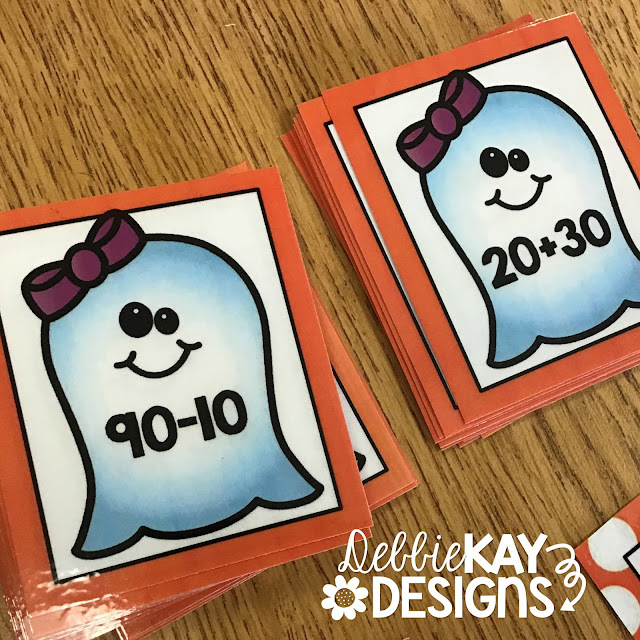 My high ability 1st graders have loved the challenge of adding and subtracting by tens. I only printed one set of this game, which includes the ghost cards with number sentences and 6 different game boards. My kids are playing as a group of 4-6, depending on how many kids are at that station during a rotation. They love to be able to play together in a larger group, rather than just with one partner. Good to switch things up sometimes! Of course, using the Target Dollar Spot mini erasers helps, too! Grab this in my TPT shop this weekend and you are set for this Halloween week.